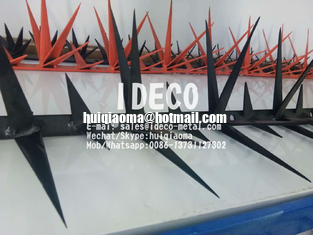 The Safety Peaks are a system of sharp points made of high quality cal.14 carbon steel sheet. This innovative system is easy to install, the process consists in fixing the module of spikes by means of expansion plugs on the surface to be protected, contributing to maintain the level of security and an aesthetic design. The entire system of peaks is subjected to a rigorous process of applying sprayed thermosetting paint with what is obtained its final finish, thereby offering greater resistance to rainy, sunny, saline environments and factors such as ice and dust. • Made of ASTM-036 steel, cold-rolled structural steel of the highest quality. • Cut with hydraulic shear. 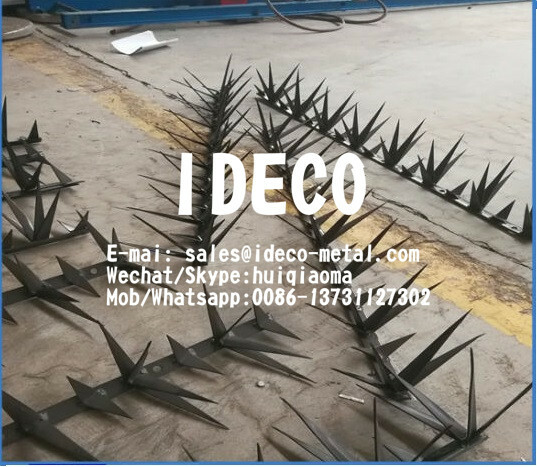 • High strength and penetration welds. • Quality in its manufacture. • Protect and beautify your home, business, school, country houses, villas, ranches, etc. 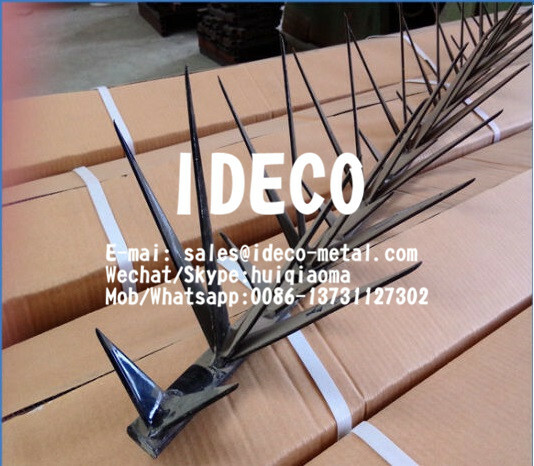 • They prevent the pigeons from perching on balustrades of churches and shops. • They are installed on any surface. • Easy installation includes an instruction manual. • We sell loose pieces so you can assemble them to your liking. • SCORPION PERIMETER PROTECTORS THANK YOU FOR YOUR VISIT!